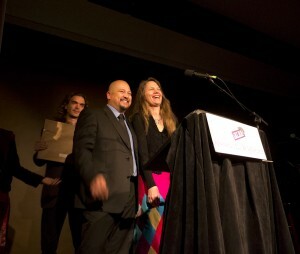 Fredy Peccerelli and Kate Doyle, winners of the 2012 ALBA/Puffin Award for Human Rights Activism. Photo Richard Bermack. Richard Bermack’s photographs of the 2012 ALBA celebration in New York, including the ALBA/Puffin Award ceremony and the reception, can be viewed here.